Dave will be teaching with Laura Mucci at 9 am. ABOUT: David is the director of operation at EverybodyFights. The secret to living is giving. FUN FACT: David has ridden the PMC for 10 years. Laura will be teaching with Dave Bergeron at 9 am. WHY I PMC: I participate in the PMC to help in one day finding a cure for cancer. ABOUT: I teach fitness full time! I’ve been lucky enough to turn my passion in to my job. FUN FACT: Last year Dave and I set off the fire alarm. Get ready for a hot one! Alex will be teaching with Nancy Ruggeri at 10 am. WHY I PMC: Because I believe we can beat cancer! 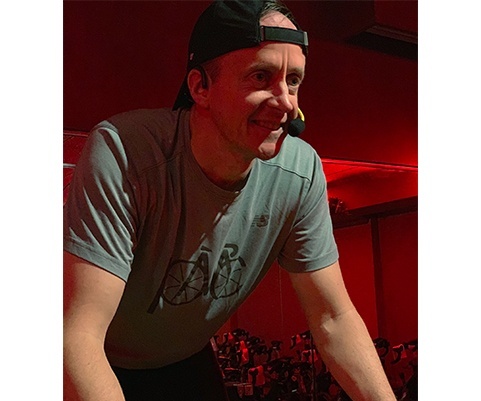 ABOUT: I opened CycleBar 13 years ago. The community there has been the greatest thing in my life other than my husband and children. I love to read and travel and mostly to share life with friends and family. FUN FACT: I am a one-year survivor of breast cancer. Nancy will be teaching with Alex Klemmer at 10 am. WHY I PMC: Like many, my family and I have lost loved ones to cancer. Participating in this event gives me the opportunity to reflect on their memories and do my small part, in hopes that others can enjoy more times with the people they love that are stricken by cancer. ABOUT: A born and raised Boston girl, I now lead a busy life in Needham - with five wonderful kids, an amazing husband and one crazy puppy! 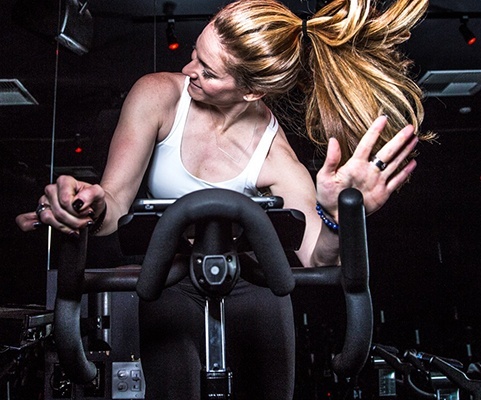 I am proud the Owner and Operator of CycleBar Wellesley. Between a close family, tons of friends, a bunch of classes and a list of crazy kid activities I try my best to embrace the challenge, beauty and opportunity of every day! FUN FACT: Not only Mom of 5, but Boston Marathon Qualifier and 2x finisher! Sam will be teaching with Paul Smith at 11 am. WHY I PMC: I ride for those who can’t, for those who suffer and for those who may suffer from this horrible disease in the future. ABOUT: I started teaching indoor cycle 8 years ago at a local club. In December of 2015, I joined the Life Time team and have grown within Life Time to a Master Trainer and Regional Brand Lead for cycle. FUN FACT: I have two rescue dogs, Maddie and Dado! Paul will be teaching with Sam Rinaldi at 11 am. WHY I PMC: I am able to help with the fight against cancer as others are not as fortunate. ABOUT: I am a husband, dad of 2 boys, friend, spin instructor, and business owner. I love cycling outdoors and participate in numerous centuries during the year. FUN FACT: I just completed my 14th year riding the PMC. Melissa will be teaching with Alicia at 12 pm. 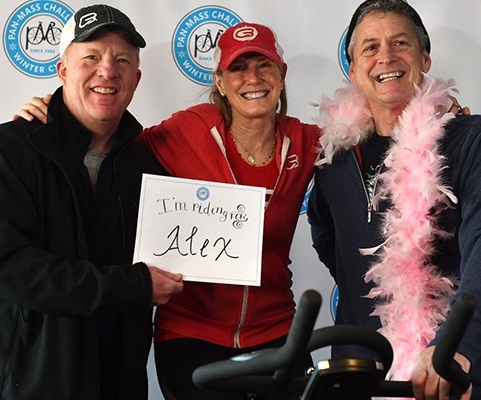 WHY I PMC: I ride so anyone who is suffering, has suffered, or has a loved one who is suffering knows they’re not alone, and that we won’t rest until there’s a cure. 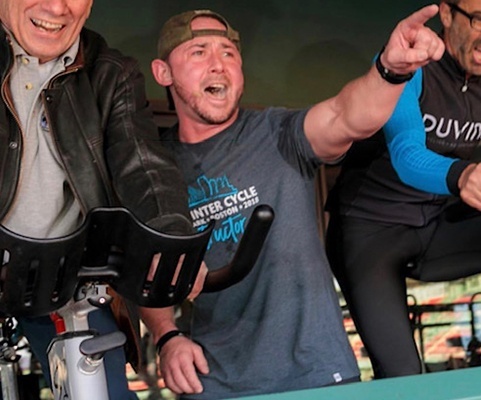 ABOUT: When I’m not at my corporate job in financial services, you’ll find me on the spin bike, training for my next marathon, or at a local dog park with my chihuahua mix, Tupper. Alicia will be teaching with Melissa at 12 pm. WHY I PMC: There is nothing more amazing than being on that bike in a room of hundreds of spirited people united for a common purpose. No matter what each individual's reason to ride is, this event brings us all together! ABOUT: I am a full time Clinical Dietitian at Tufts Medical Center working in specialty clinics including the Cancer Center, Gastroenterology and Surgery, specializing in nutrition support; I also cover a wide range of PR & Media events through Tufts. 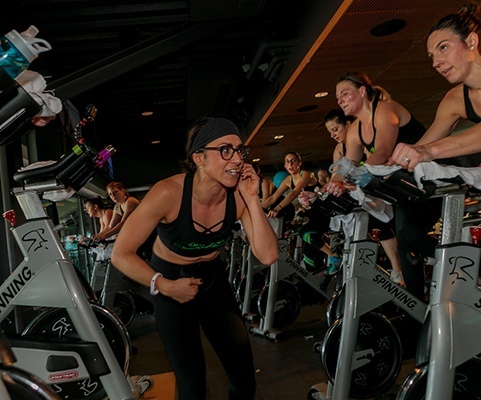 In my spare time, I enjoy teaching group fitness classes at Ride North End and Redemption Strength & Conditioning, practicing yoga, walking my miniature dachshund Chili, and enjoying good food and a big glass of vino. Lindsay will be teaching with Christina Muccio at 1 pm. WHY I PMC: Never take a single moment for granted. 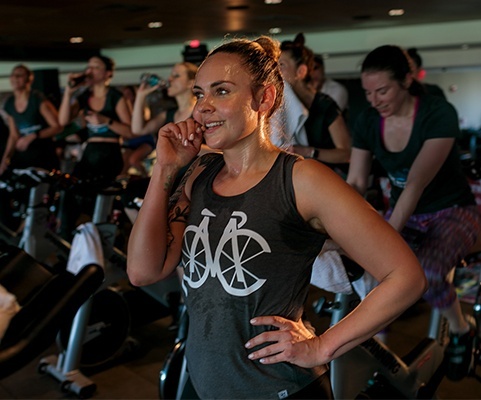 There are plenty of people who would give anything to hop on a bike and sweat. Do it for them! ABOUT: My two careers are colliding here at the PMC Winter Cycle. In my full-time job, I am a New Business Sales Rep for Cigna, (one of the event sponsors!) responsible for medical and dental insurance sales in our small to mid market. 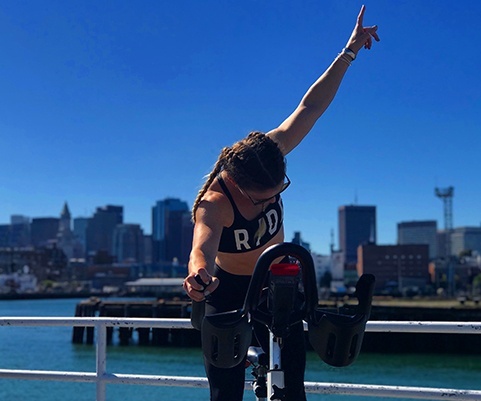 Outside of traveling all over New England for work, I teach at B/SPOKE in both our Downtown Boston and Wellesley studios. FUN FACT: I am obsessed with buying my toddler nephew, Brady, sneakers so he’s the coolest kid on the playground. Christina will be teaching with Lindsay Bucci at 1 pm. WHY I PMC: I think we all have the potential and opportunity to leave this world a little better than we found it. 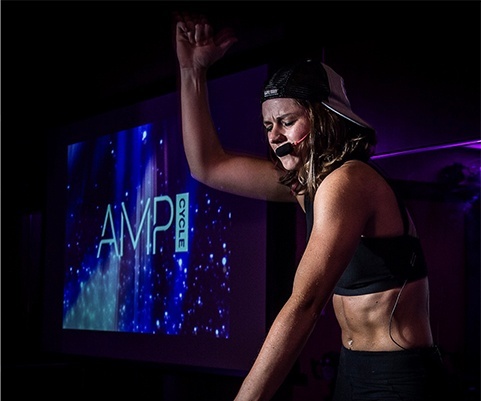 ABOUT: Former athlete turned full-time fitness professional and business owner, obsessed with sweating and inspiring people to live their best and fullest life. Sarah is teaching with Candice Peak at 2 pm. WHY I PMC: Because cancer impacts us all and I want to help and support in any way I can! ABOUT: I am a cycling instructor and brand director for The Handle Bar, and when I'm not at The HB you can find me working on my side hustle as a photographer. FUN FACT: I'm a human Shazam (like the app). 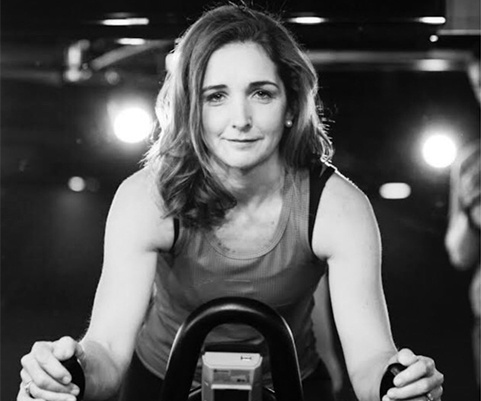 Candice is teaching with Sarah Coppinger at 2 pm. WHY I PMC: It’s amazing to see this community come together and make a huge difference. 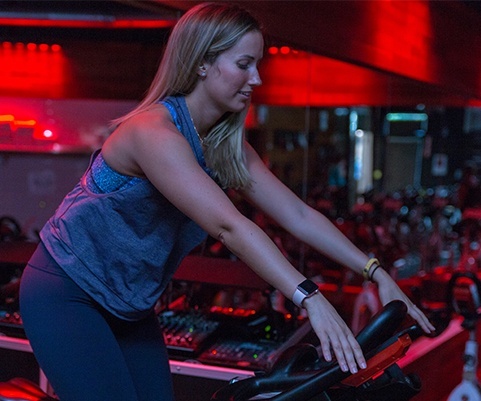 ABOUT: I am a Master Instructor at The Handle Bar and Trainer at Barry’s Bootcamp by early morning and evening and a marketing manager for a large asset management firm by day. FUN FACT: I completed in the 2008 US Olympic Team Trials for swimming! 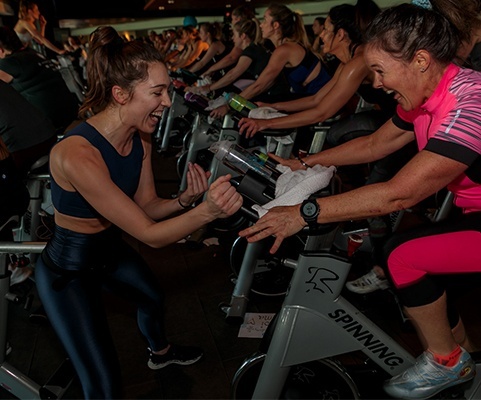 At this time we have reached our capacity for spin instructors but if you are a certified spin instructor who is passionate about fighting cancer, we could still use your help with the PMC Winter Cycle in various ways. Please contact justine@pmc.org for more information.